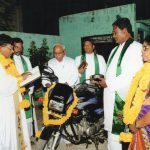 In August 2017, All Saints Church, Mills River, NC provided the funds for the purchase of a motorcycle for a priest in the Anglican Church of India, Diocese of Andhra Pradesh. The money was sent to Bishop Jaya Rao for that purpose. 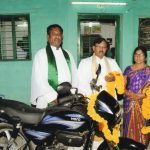 After receiving the funds, the motorcycle was ordered and in October it was blessed by Bishop Jaya Rao at Holy Nativity Cathedral in Jammaladugu in the Kadapa District and handed over to Father Niranjan Purushotham. Fr. 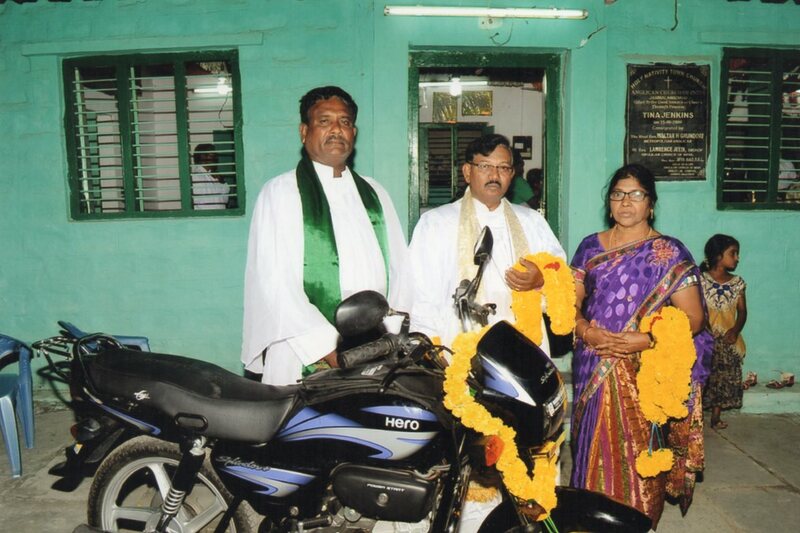 Niranjan is the Rector of St. Paul’s Anglican Church, Kadiri, in the Ananthapur District. Kadiri is a small town and Fr. 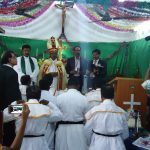 Niranjan has four mission congregations in surrounding villages, within a ten-mile radius of St. Paul’s. 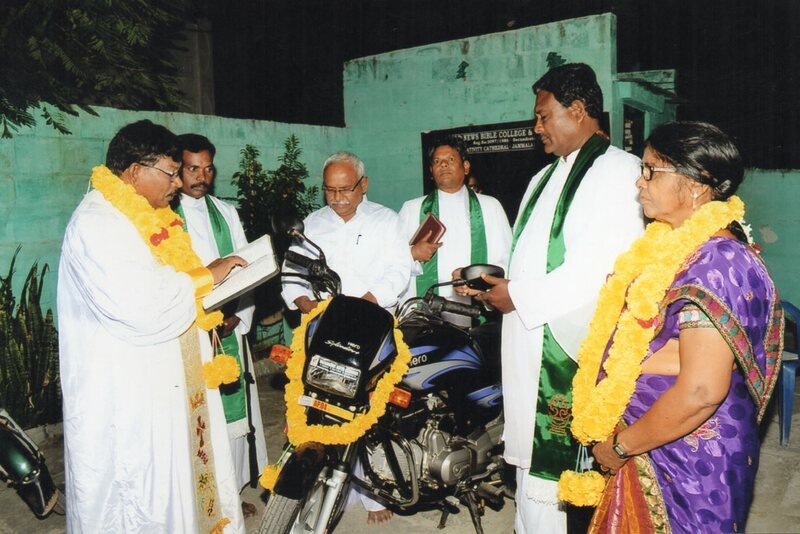 The motorcycle will greatly benefit his ministry to these surrounding villages and he is most thankful for the gift. The church in Kadiri was one of the churches that the APA Missions Team got to visit during the February, 2017 trip to India. 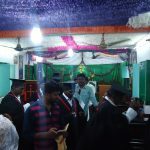 In a recent email, Bishop Jaya Rao, Presiding Bishop of the Anglican Church of India, Diocese of Andhra Pradesh, reported that twenty-three students graduated from The Good News Bible Training Centre for Pastors and Church Leaders which is located at Holy Nativity Anglican Cathedral in Jammaladugu. Bachelor of Theology (B.Th. ), Bachelor of Divinity (B.D. ), and Master of Theology (M.Th.) degrees were awarded. The graduation ceremony was held at Holy Nativity Cathedral on September 2, 2017. 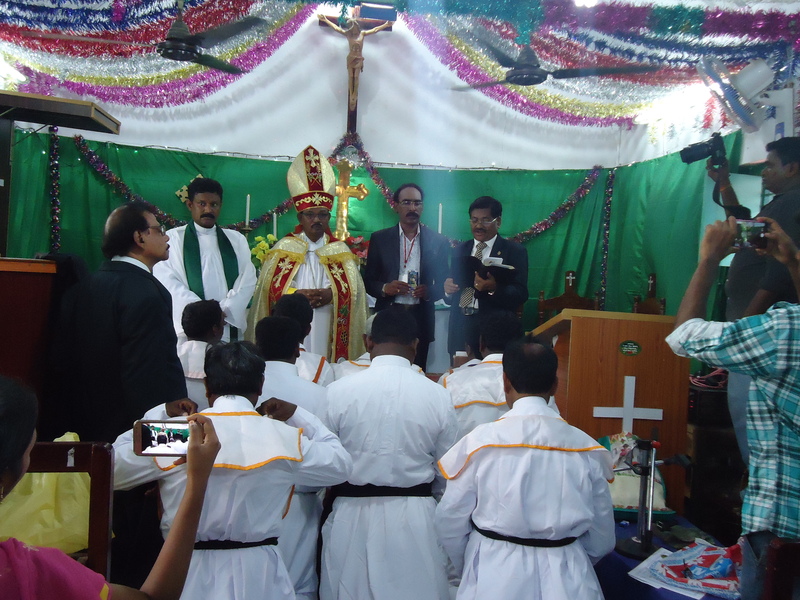 It was a special day for Bishop Jaya Rao as his eldest son, Rev. Richard Rajesh Kumar, was awarded a Master of Theology degree. 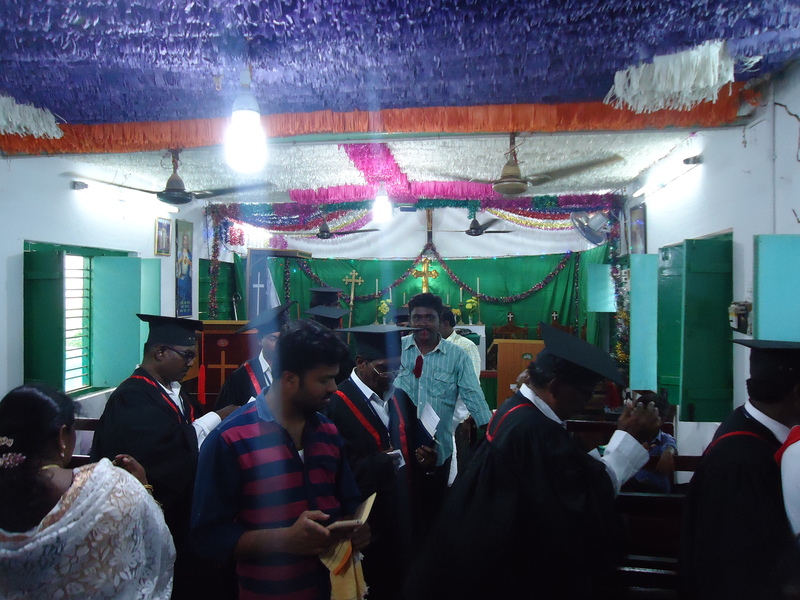 The graduating class consisted of a mixture of Anglican and Evangelical clergy from various denominations. 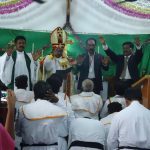 A number of the Evangelical graduates have expressed an interest in affiliating with the Anglican Church in India and becoming Anglican. 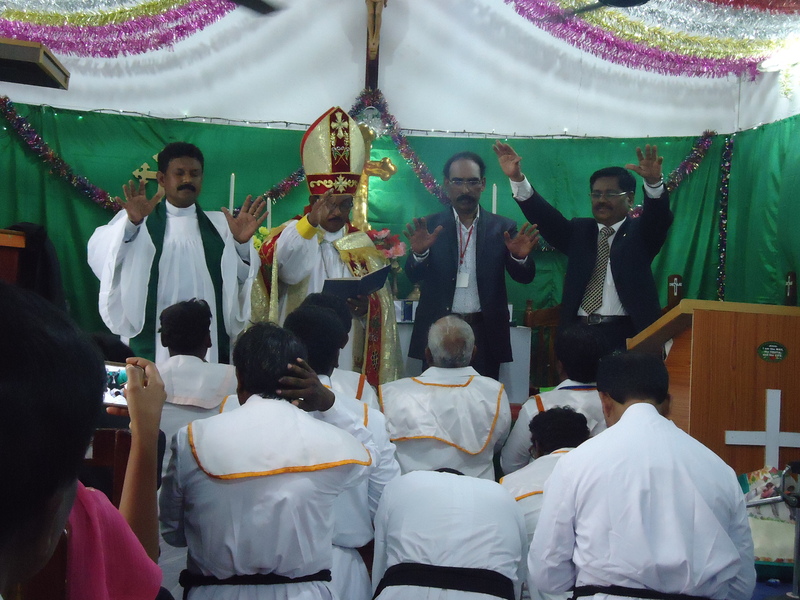 Please continue to pray for Bishop Jaya Rao and for all the work he and his clergy are doing to build God’s Kingdom in South India.